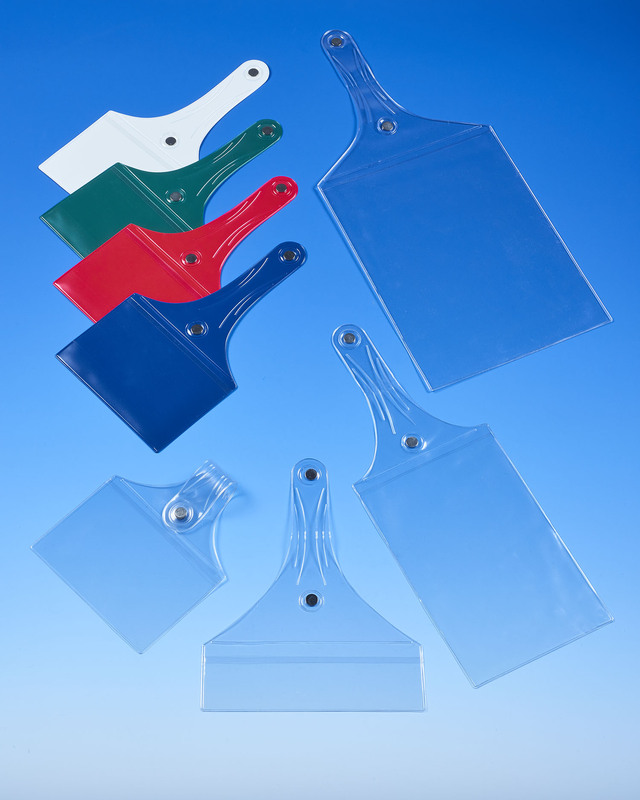 A full line of magnetic hanging vinyl label holders that won’t scratch metal parts and are being offered to distributors, including drop shipment to their customers, has been introduced by RNR Plastics of Dighton, Massachusetts. Magna-Hinge™ Hanging Vinyl Label Holders are made from heavy-duty 10-gauge clear PVC and feature a reinforced strap which wraps around objects and has two encapsulated rare earth magnets that join together and stay in place. Providing a protective surface that will not scratch metal, they are ideal for repair tickets, work orders, inventory details, and other information and attaching them to chairs, rails, baskets, racks, and products. Providing distributors with a virtual inventory, Magna-Hinge™ Hanging Vinyl Label Holders are drop-shipped from stock and come in 6 standard sizes to hold tags, labels, and inserts from 2″ x 6″ to 9″ x 12″. Custom sizes, colors, and imprinting are also offered. Also known as pockets, sleeves, and tag protectors, they are a low-risk addition to other product lines. Magna-Hinge™ Hanging Vinyl Label Holders complete distributor pricing is available upon request, including drop shipment to their customers. 1424 Somerset Ave., Suite B.